Jess came back to Dale Acre yesterday to speak to our Year 11 students. Jess got excellent exam results last year in her GCSEs. Many of them C grades. 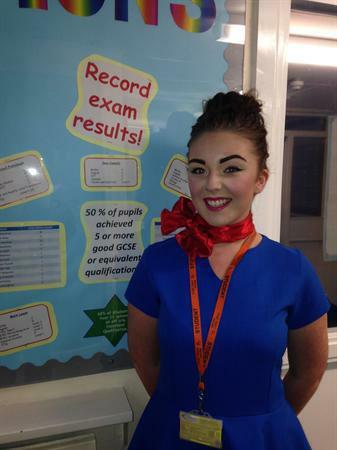 She is now at Hugh Baird College studying and working hard to become an air stewardess. Jess talked to the Year 11s about how much she enjoyed her time at Dale Acre and how mainstream school wasn't for everyone but they could still achieve there ambitions. Jess also went on about how our current students need to make the most of all the opportunities the staff at IMPACT offer them, and how she wouldn't be where she is now with the staffs care and support.